Leaders act as though they know how to lead despite not being trained. They develop a leadership persona that lets them cope with the challenges and adapt to organizational demands. A focus on being liked, or ‘good’, results in excessive permissiveness. 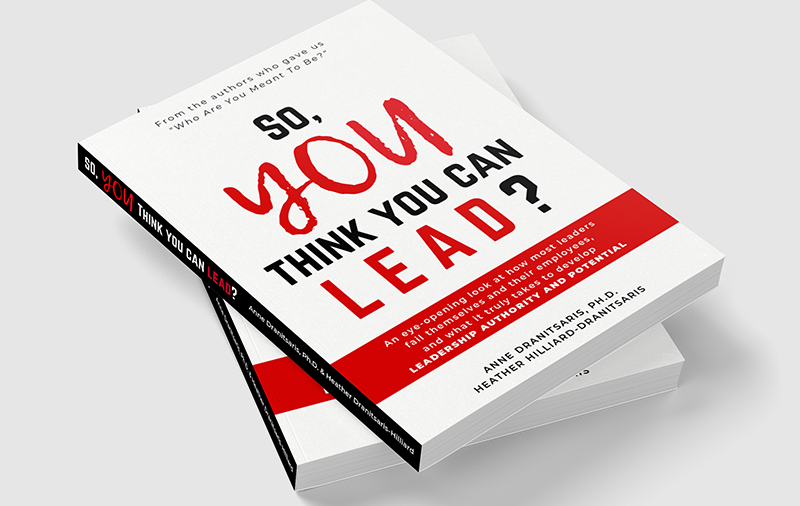 Discover your proven roadmap for building leadership authority and potency. Start thriving as a leader today and get on the path to achieving your full leadership potential. But what if you are not? What if you are actually ineffective? So, YOU think you can LEAD? lets you take a fresh and honest look in the mirror at your effectiveness as a leader. It gives you the tools you need to break bad leadership habits that come from a lack of proper training and support. It quickly puts you back in the driver’s seat as a leader, increasing both your satisfaction and impact in your role. Based on experiences working with a wide-range of client organizations, the authors blend their expertise in organizational development, behavioural change and neuro-psychology to challenge the prevailing beliefs in organizations that leaders do not need to develop to be effective. 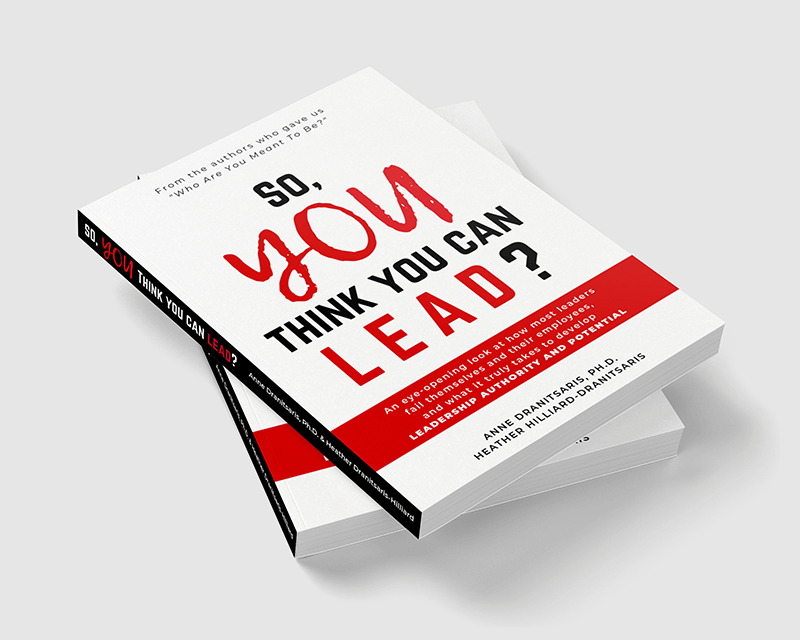 So, YOU Think You Can LEAD? explores how leaders adapt their behaviour without a solid foundation of self-awareness and skill development, leading to bad habits that undermine their impact. It also provides a clear, step by step framework to develop your leadership authority and potency, so you can fully realize your leadership potential. "Our leaders felt so powerless and frustrated. 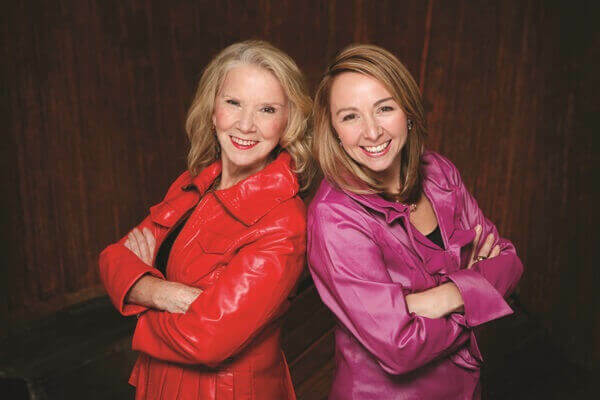 This program gave them skills they needed to lead with authority. They love being leaders now!" SIGNUP TO GET ACCESS TO SPECIAL OFFERS!